MOSCOW, April 15. /TASS/. 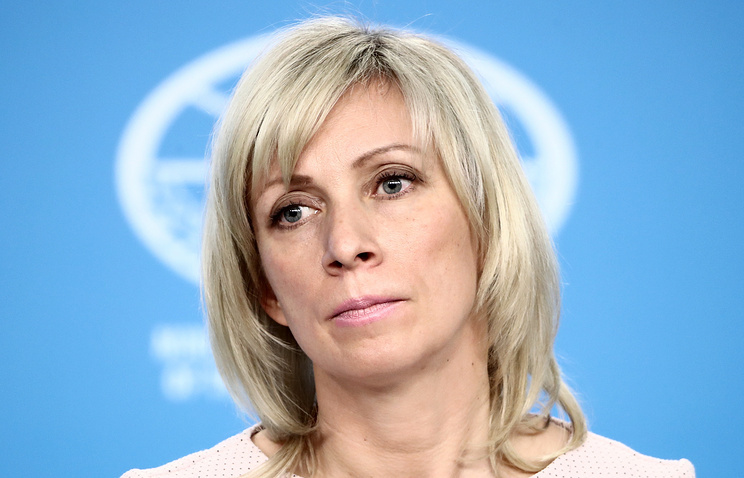 Further anti-Russian sanctions the United States is looking at are meant to punish Russia for the mere fact of its being a global player, with no particular events cited as a reason, Russian Foreign Ministry Spokeswoman Maria Zakharova said on Sunday. "I can really confirm that the sanctions are to be imposed on Russia without any link to any realities. If earlier they used to say they punished us for Ukraine, now the wording has been changed dramatically: now they punish us for the mere fact of being on the global arena," she said in an interview with the Voskresny Vecher s Vladimirom Solovyovym (Sunday Evening with Vladimir Solovyov) program on the Rossiya-1 television channel. "This is exactly how they worded these sanctions: for Russia’s role in international affairs," she stressed. On April 6, the United States imposed sanctions on 38 Russian individuals and legal entities, including Russia’s biggest arms trader Rosobornexport, Russian Financial Corporation and Rusal. The move was motivated by Crimea’s reunification with Russia, instigation of hostilities in eastern Ukraine, support to the Bashar Assad regime in Syria and illegal activities in the cyber space. The Russian foreign ministry pledged Russia would not leave these sanctions unanswered. On Friday, a bill on response measures to the unfriendly actions by the United States and/or other foreign states was put on the State Duma’s (lower parliament house) agenda. The bill provides for a ban or restrictions on imports farming products, raw materials and food, tobaccos and alcohol originating from the United States and/or other unfriendly countries. The ban is applicable to medicines, with a reservation that it does not cover medicines with no Russia-manufactures analogues. Russia’s countersanction will cover consulting and audit companies with foreign capital accounting for more than 25% Such companies will be banned to offer their services to Russian government companies. Apart from that, companies with the United States’ controlling more than 25% of authorized capital will be denied access to privatization of property.